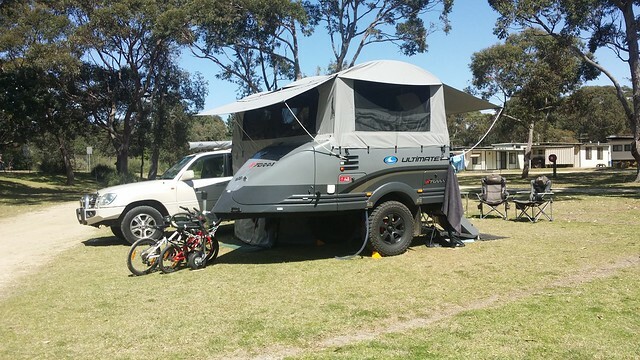 One of the benefits of heading south for this holiday, was that we could visit the Ultimate Camper Trailers factory, and have a couple of small things seen to on the Xterra. 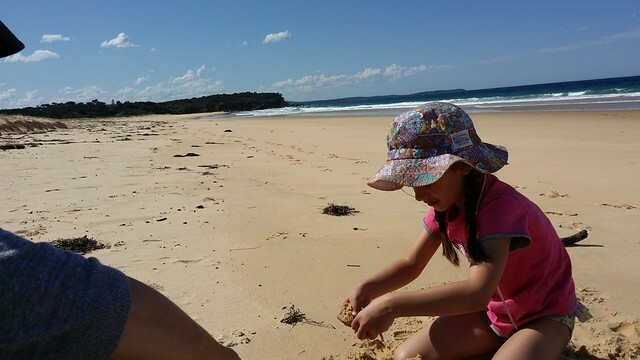 From Pretty Beach, we only had a short drive down to the Moruya based factory, and arrived fairly early. The Ultimate team swung into action while we were able to do a quick tour through the factory. I’d previously done a tour when I picked up the Xterra, however Rach and the kids weren’t there at the time, so it was great for them to see how the camper was made. Lucas particularly enjoyed learning about the process. We were finally able to open the windows and enjoy some fresh air. The Weber also cooks a great pizza! We also learned that they have changed the name of the Xterra to the Xterran. It seems a potential naming rights infringement has forced the name change, so our Xterra is destined to be pretty unique, with only about 15 ever made. 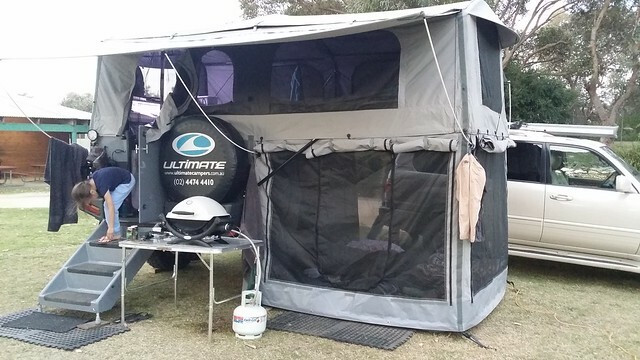 We decided to stay in Moruya for a couple of days, so headed out to the Moruya Heads Big 4 for a couple of nights. Surprisingly, the park was relatively empty and we could pretty much choose whatever site we wanted. I fiddled around and set up the camper for a while, and Rach took the kids over to the pool to have a bit of a paddle. It was nice to have a bit of a mild change in the weather, and enjoyed a bit of space and time outdoors. The Weber BBQ came out and some pizza was made for dinner which went down very nicely! A cool change came through as we got back to camp and I took off the rear awning as we got back, to try and avoid the wind damaging any of the poly joiners that are used to keep the poles in place. The theory of this was good, however the execution left something to be desired, and I broke them all anyway by letting go of it in the wind. Oh well, you live and learn!